Magiki™ from De Agostini Publishing lets kids choose a unique fairy princess to accompany them to the fabulous world of Magiki™, where they can play 10 exciting, fun, inspiring and creative games filled with wonder and magic. The iOS app features 100% kid appropriate content, and there are no in-app purchases or data collection of any kind. "Magiki available now for iPhone and iPad"
Magiki™ is the ideal app for parents and kids! There’s so much to do and explore that kids will never get bored. Parents looking for the perfect iPhone, iPad and iPod touch app to keep their 3-6 year old entertained, engaged and excited – particularly during long trips by car, bus, train, boat or plane -- can now head to the App Store and download the enchanting new app Magiki™ from De Agostini Publishing. 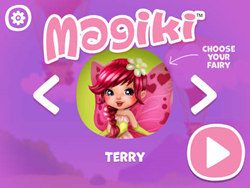 Available in four languages -- English, Italian, Russian and Polish -- Magiki™ begins by inviting kids to choose the unique “Fairy Princess” who will accompany them on their magical adventure: Sammy, Terry, Vivien, Isabel or April. Each princess is beautifully illustrated, and will delight children in an inspiring and positive way. 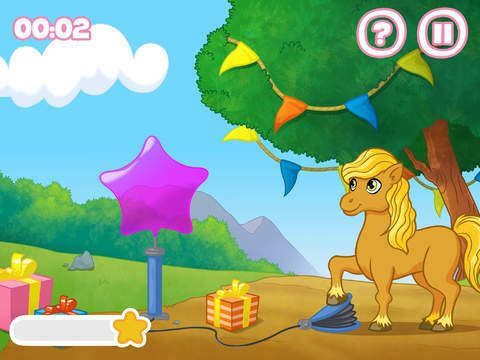 Each game is wonderfully animated and features charming sound effects. There is also a pause button, as well as a score counter and timer. In addition, parents will appreciate that all games and content are completely safe and suitable for young children. There are also no in-app purchases of any kind, and no data whatsoever is collected, stored or shared. “Parents know how difficult it can be to keep their young child happy and entertained, while at the same time teach them valuable skills that will help them with their learning and development,” commented Lorenzo Manfredi, Global Digital Director of De Agostini Publishing. Magiki™, the enchanting new app that takes kids on a magical and unforgettable adventure, is available now for iOS devices from the App Store at https://itunes.apple.com/app/magiki/id905005359 . 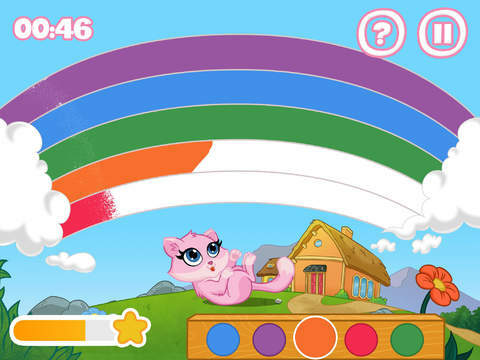 Additional app information, along with other kids games and activities, are available at http://www.magiki.com. For all other information including media inquiries, contact Mark Johnson on behalf of De Agostini Publishing at +1 408 757 0156 or press(at)appshout(dot)com. Magiki™ is a brand created in 2009 by De Agostini Publishing. Magiki™ was born as foilbag toys sold through kiosks. Since its birth, 12 collections have been made, 144 characters have been created, 8 millions of items have been sold, 10 countries have been involved by the Magiki™ success, and more to come. De Agostini Publishing S.p.A. is the main business area of De Agostini Editore with a turnover of 450 million euro and an activity of more than 120 launches in the 53 countries in which it currently operates: Western and Eastern Europe, Japan and the Far East, and Latin America through the Planeta De Agostini Company. Today, De Agostini Publishing is a world leader in the partworks market with production ranging from courses and soft-educational products for children and adults to model-making to general culture, both on paper and on new digital platforms.